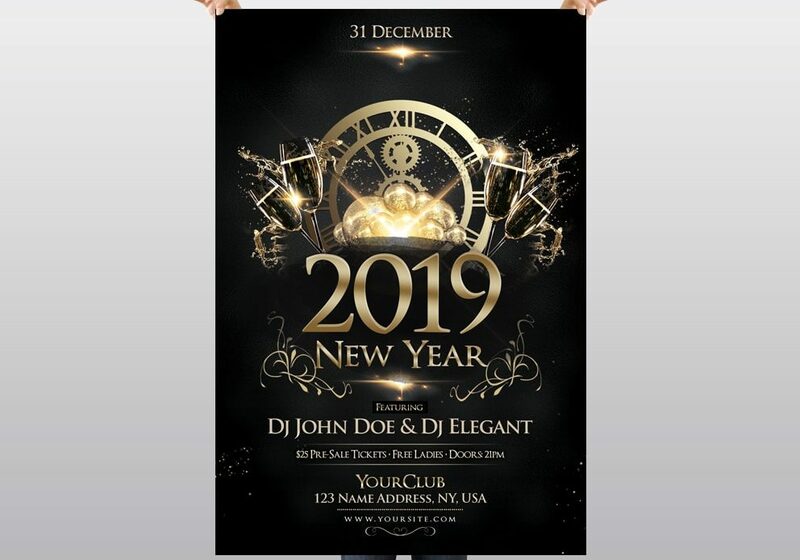 Download Happy New Year 2019 PSD Flyer Template for Free. This Black and Gold elegant NYE Eve PSD Flyer is available for free to download. New Year PSD File is suitable for any NYE Party, New Year Celebration & Other party purposes. 2019 new year eve flyer is fully editable and easy to customize. Let’s celebrate 2019 with this awesome flyer design! To edit this flyer, you need to install adobe photoshop cs4 or higher version. Also you need to install fonts in order to make changes in text with the same fonts as they are in flyer.